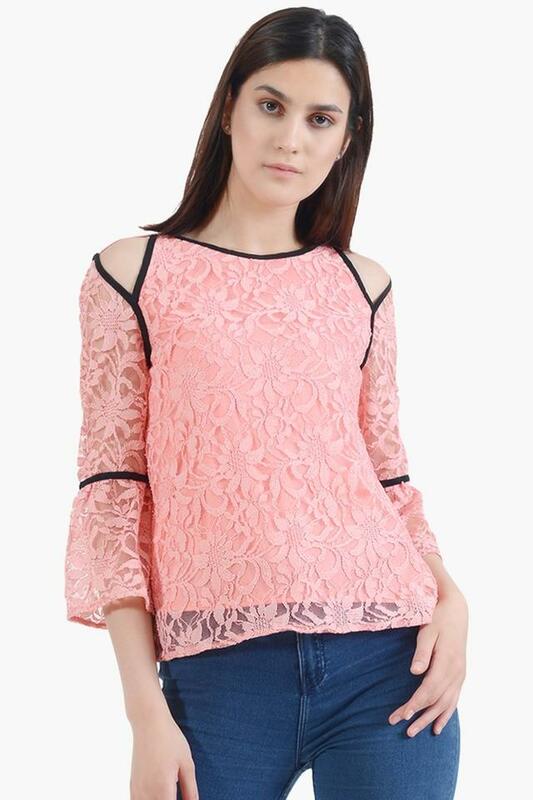 Stay in vogue by wearing this cold shoulder top presented to you by Latin Quarters. 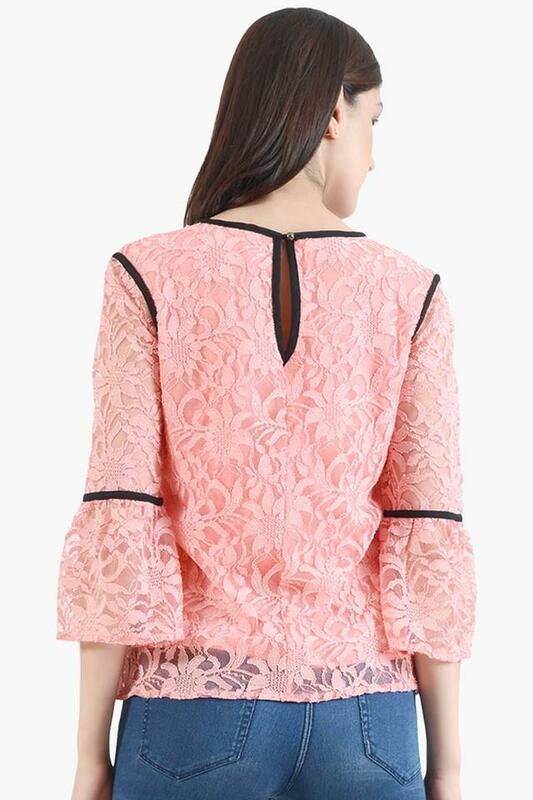 Featuring a lace pattern all over, it has a smart appeal while the round neck gives the attire some edge. In addition, it has a keyhole with a loop and button closure, thus making it convenient to wear. 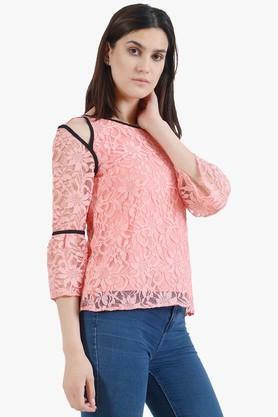 An attire that will work for any casual occasion is this round neck top. You can club it with jeans and ballerinas to look your best. Latin Quarters is an iconic fashion brand known nationwide for its sophisticated, fun, chic clothing to live, work and play in. Its rich collection of contemporary, stunning, elegant and classy styles allows customers to experience the pleasure of buying fashion.